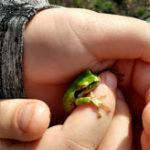 Alliance Counseling Center at The Center at Heron Hill is a unique mental health clinic that utilizes principles of trauma informed care, nature based therapy, and animal assisted therapy. Alliance Counseling Center currently holds a Certificate of Approval (COA) from the Oregon Health Authority. Our focus is to help children, adolescents and adults to heal, energize, and become aware of their inner strengths. We achieve this by providing numerous therapeutic approaches and specialties within a safe environment. Additionally, we aim to fully listen to your concerns and customize a treatment plan specific to your needs. Our goal is to help you grow from your struggles, heal from your pain, and move forward to where you want to be in your life. We can help improve symptoms of depression, anxiety, abuse and trauma, ADHD, autism, self-destructive behaviors, and stress. Please take time to review our about us page so that you can get familiar with some of the different types of therapeutic modalities we can offer. Initial intake appointments generally take place in one of our indoor offices and last approximately 60 to 75 minutes. Upon arrival, you will likely be welcomed by one or many of our farm animals. Also, our waiting area comes complete with complimentary tea, water, and hot cocoa. During the initial intake appointment all medical, social, and family history will be collected and reviewed. The therapist will also collaboratively work with you to design a personalized treatment plan. Typically, we estimate that most clients can expect a minimum of 12 weeks of therapeutic support, with a check in and treatment plan update at the 6 week visit. Towards the 12 week mark, we continue to work with you to identify if continued support is needed or not. The length of support may be influenced by your insurance carrier as well. Because we operate under a team centered approach, and in order to provide you with the support you deserve, it may be suggested that you meet with other members of our team as part of your care plan. Prior to ending your intake appointment, you may be offered a brief tour of the property so that you become familiar with the beautiful environment of which you will be spending time in. Please consult with your therapist if you have any questions or concerns. We want to help make you feel comfortable and excited to start this journey! We would like to thank you for considering our clinic to provide you with counseling services. In exchange for the best level of care we can deliver, there are certain financial responsibilities of which you need to be aware of. As a result, we cannot predict how many sessions you will need, or estimate what the total cost of services will be. We are contracted as an in-network provider with certain plans of the Oregon Health Plan and are considered an out-of-network provider for commercial insurance plans. Alliance Counseling Center does not provide the service of billing commercial and third party insurance claims at this time. If you carry commercial insurance that is not a part of the Oregon Health Plan/Medicaid, we require a form of payment (credit card) to be kept on file and fees to be paid at the time of service. You will be provided a receipt for payment along with a Superbill to submit directly to your insurance for reimbursement to you. We realize that for some, this can create a financial hardship. Therefore, we are dedicated to working with individuals and families in creating payment options that can help to ease this burden. NOTE: All participants of Alliance Counseling Center therapy groups must also be an already established client. A 6 week Adult Trauma Group focused on processing personal traumas within a safe group setting. Activities include: psycho-education on trauma and the brain, strengthening mind/body awareness, developing coping skills, observing nature’s wisdom, and taking space to creatively express your story. Group will utilize individual processing time, as well as small and large group discussions, with a focus of highlighting similar themes and exploring alternative narratives. Goal of group is to build skills to creatively process trauma during group (e.g. writing story, creating art) and present story in last group session during a special group ceremony. Members are encouraged to only process and share as much as they feel safe and comfortable to do. Group will meet every Tuesday for 6 weeks. Limited to 10 slots. Join us for a fun and positive way to help children learn about mindfulness and emotional regulation. Through interactive activities children will improve their ability to identify feelings, reduce negative thinking patterns and develop healthy ways to manage emotions. The group will explore mindfulness and relaxation strategies utilizing age appropriate activities including stories, arts and crafts, games, and nature exploration. Age range is 7-10 years old. This is a 6 week group for adolescents (both girls and boys). Participants will engage in a cognitive-behavioral-based curriculum, the focus of which is to teach and practice appropriate and healthy ways of communicating, handling stress/frustration, and navigating through social conflict. This is a 6 week group for teens to help improve and encourage self-esteem/confidence, self-identity, and empowerment, all through different mediums of nonverbal expression. Group members will be introduced to creative and fun activities such as creating self portraits, participating in drum circles, storytelling, interpretive dance, nature interpretations, and more. A 6 week mindfulness adult group focused on managing mental health symptoms. Potential activities may include: art therapy, animal assisted therapy, mindfulness development, meditation, movement to strengthen mind/body connection, music, and nature based opportunities. Group will include providing a space to verbally and non-verbally process challenging experiences within a group setting, with hope to identify common themes among members. Psycho-education of mental health based on group experience will also be provided. Goal of group is to develop a personalized toolbox of coping skills to manage mental health symptoms.Group will meet every Wednesday for 6 weeksLimited to 12 slots. Successful Parenting of Children & Adolescents group is an 8-week educational and skill-building group for parents of children and adolescents. This group is expected to run at the same as the Acceptance & Commitment Therapy (A.C.T.) for Teens group, so that parents may participate, although any interested parents may participate. This group will focus on the parental support of children and adolescents attending therapy and/or going through difficult emotions, thoughts, and transitions. Topics include but are not limited to: teaching children appropriate consequences for negative behavior, effectively handling defiance and working with melt-downs, relaxation techniques for parents and their children. Goals for the group include increasing awareness of your parenting approaches, asserting healthy boundaries, and learning ways to deal with difficult child and adolescent behaviors. We provide a safe, fun and challenging environment in which to learn and grow. Acceptance and Commitment Therapy (A.C.T) for Teens group is a 6-week educational and skill-building group for teenagers. This group will run at the same time as the “Successful Parenting of Child & Adolescents” group, so that teens can ride out to the farm with their family member. This group will focus on clarifying values, setting goals, and practicing skills for working with difficult thoughts and feelings that can get in the way. Group time will be split between education, practicing skills through outdoor activities, and having a good time. This is a great opportunity for teens to help one another in a safe and supportive environment. Girl Power! is an 8-week group for young girls ages 9-11 and is all about living in your strengths. We help clients learn to stand their ground, practice self-care and reach beyond the common issues of life that can distract and disempower girls at this young age. We will provide a fun, challenging and safe nature-based environment in which to learn and grow. This group will focus on important skills such as direct and healthy communication, setting boundaries, problem solving for positive outcomes, and relaxation techniques when under pressure or in social situations. Are you feeling lost and overwhelmed by your child’s behaviors? Are you frustrated that your child won’t listen? Puzzled by tantrums and poor sleep? Does it feel like you have read everything and tried it all and yet nothing seems to make a difference? Parenting can be an amazing journey and at the same time leave you feeling helpless and wondering what the “right” thing to do is. Together we will explore what might be underlying your child’s behaviors and how you can help them find more successful ways of communicating their needs. Along the way we will identify what YOU need to feel successful in this parenting journey. Join us for this 6 week support group working towards developing the relationship with your child that you desire. Q: Do you only see children? A: No. We see individuals of all ages and specialize in therapy for children, adolescents, and adults. We are able to provide services to individuals, couples, and families. For clients under the age of 18, family therapy will be required as part of the treatment plan. Q: I am interested in touring the facility before I commit to therapy. Is this allowed? A: Due to confidentiality, we do not allow private tours of our facility to prospective clients. However, we are happy to offer tours to area providers who are interested in learning more about us. If you are a prospective client, please schedule an intake appointment. This will help you determine whether we are the right fit for your care needs. Q: I am interested in equine therapy, when can I start riding horses? A: We are not a riding program and, in fact, the therapeutic approach we use prohibits the idea of riding a horse. Additionally, not all clients are appropriate for equine therapy and not all clients are offered equine therapy at every visit. A thorough assessment for the appropriateness and safety of equine therapy is conducted for each interested client. 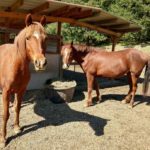 Most importantly, equine therapy only equates to about 30% of ones therapy appointments and due to limited availability, we often will reserve equine therapy for family work. We believe it is extremely important to expand the therapeutic modalities used in nature based therapy. 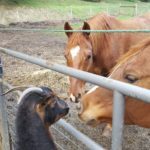 You will get plenty of animal interaction here! Q: If I have mobility issues, what are my options? A: We have several options available to you including nearby, easily accessible outdoors spaces as well as heated and air conditioned indoor offices. Our common areas and much of our outdoor space is ADA accessible. Q: Do we do therapy outdoors even if it is cold or raining? A: Absolutely! We always encourage clients to come overly prepared. Jackets, hats, gloves, long pants, and long sleeve shirts are important during fall and winter months. We always recommend wearing close-toed shoes year round. Our facility has a supply of rain jackets, rubber boots, knit hats and gloves available for you to borrow if you come unprepared. 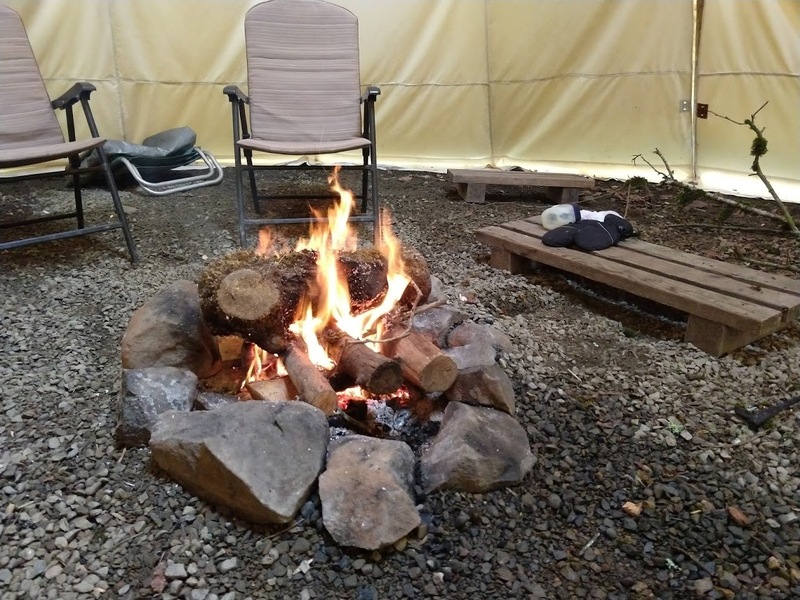 We also have several outdoor heated spaces and love making campfires (we are known for breaking out the smore’s kits)!